A: Aside from being precious, beautiful art objects, Talismans are healing tools that I make for my clients to use. Talismans are made for the person who owns them, and they can mean many different things to many different people. I try not to tell people what to do with them as I find it can be a limit to the persons own imaginings as what is possible with these tools. Once constructed, they can act as an externalized or concrete version of an issue you are trying to come to terms with, they can represent a part of yourself that you need or want to look at and engage with, or they can represent your own personal power or a toll to use in ritual and magic work. 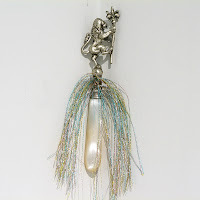 For example, one client of mine saw her Talisman as a tool that cuts away burdens and releases stress. For me, the Talismans are a culmination of all my healing tools into a single object. Q: What do people do with Talismans? A: Talismans are spiritual objects and tools. These spiritual tools do not come with instructions on how to use them, its the owners job to determine how they best be used. They can be put on your altar or in a sacred place, can be used as tools for ritual and magical practices as athames or wands, they have been used for grounding energy and connecting with spirit guides. 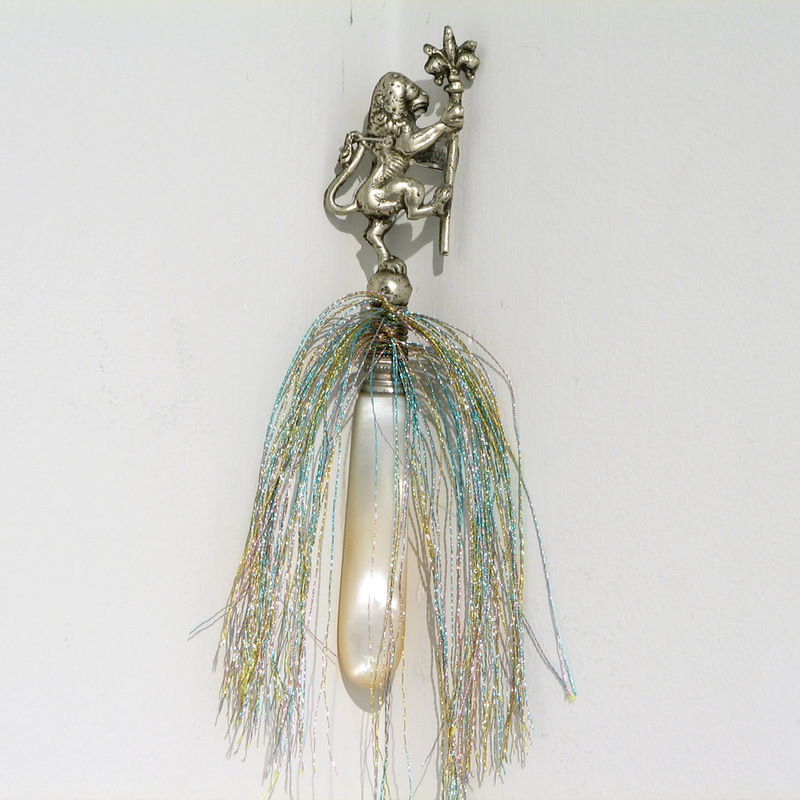 Most people keep their Talismans in a sacred space like a shrine or alter or some mount them on the wall, whether they realize it or not, most people have some kind of altar. The talismans I make are not jewelery, although I have made some pocket sized ones for people to carry for protection and strength. They really are all these things and more the only limitation is your imagination and intention! A: An altar is a space where you keep meaningful, sacred objects or pictures. For me, an altar is a collection of important items that you look at or spend time with daily and that is in your environment. An altar can also be more active, where you move objects around and are mindful of their placements for reflection. An altar can be any size you choose. It is a reminder of values or beliefs of a spiritual practice or an aesthetic grouping of objects. Q: Are the Talismans connected to other spiritual tools? A: The Talismans can be interpreted through the Tarot. 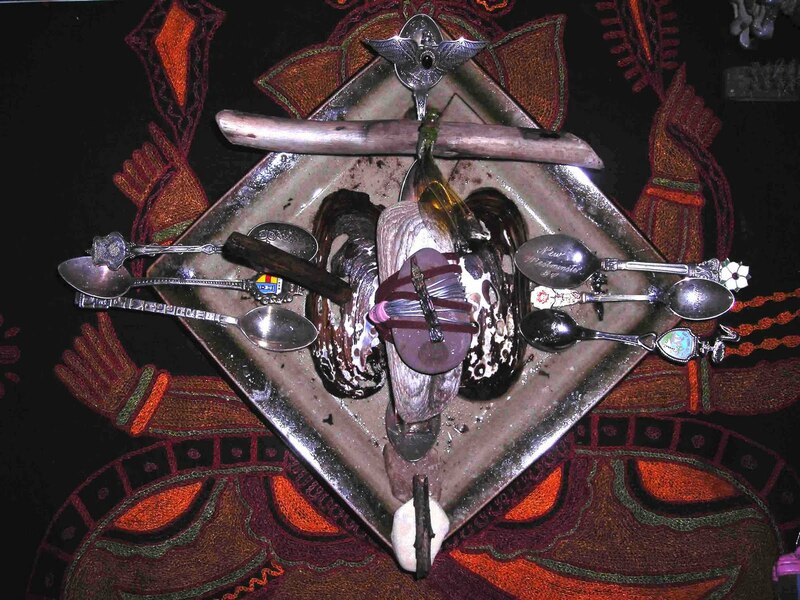 I see the knife Talisman as analogous to Swords (air), the spoons as Cups (water), the forks as Pentacles (earth), and the sticks/pokers as Wands (fire). The connection of the Talismans to the Tarot cards’ four elements is where the healing practice comes in for me as my crystal work is based on the elemental energies, the Talismans can likewise be linked to the elements of the seven chakras. Most of the talismans I make have a number of elements combined but there is generally one that is most prominent. Q: Why do you make Talismans? A: Making Talismans is part of my life’s practice. Its both a spiritual and creative process for me. Like when I am in a healing session with a client I enter into a a different kind of state when I am making them. In essence, I channel energy through the process of making them and they contain and hold this energy as a charge that gives them life and power. The intention I bring to the process is integral to their being sacred power objects/tools, when they are given or chosen by their owners the intention goes with them. Q: What kind of information would I need to give you in order for you to make me a Talisman? A: I would ask you if you need the Talisman for a specific issue, If there is an intention that you are working toward or with that you want the talisman for specifically. It could be that you are going through a divorce or a transition, want a business to grow, need to improve your health or to achieve your goals. The Talisman has to be built for a reason, although often the reason is not what we originally thought it would be. These tools are for healing, for personal growth and for empowerment. Q: How do you do this for someone you don't know? This has worked for me in different ways depending on the situation. I have had people come to me in person with an item of the persons ie a piece of hair and a birth-date and I have gone on that information. I have also had direct email contact with the person where they initiate a dialogue about what they perceive their needs to be emotionally, spiritually etc. And I have also often just asked a few random questions to get a sense of the person like what color speaks to you most right now? what comes to mind for you when in relation to the water element and so on. Of course if this is a gift you can just tell me a few things about the person or the nature of the relationship and I can go from there! Q:How is the talisman packaged? A: Each unique talisman comes specially wrapped and bound in cloth and twine. When binding the talisman it is consecrated and energetically charged with unconditional love. Each talisman comes with a detailed description of the symbolic meanings within the talisman that is signed by me. If its a gift I will also include text that includes your name and the receivers name and the occasion, this is a truly personalized gift!